You know I love about Disney stuff, right? 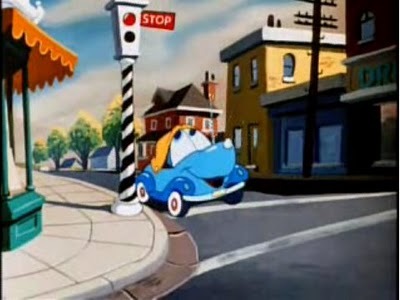 Since the 1st “Cars” movie was released, I started remembering of Disney’s classic short films, which I saw them when I was a little girl. and “The Story Of Anyburg, USA“. 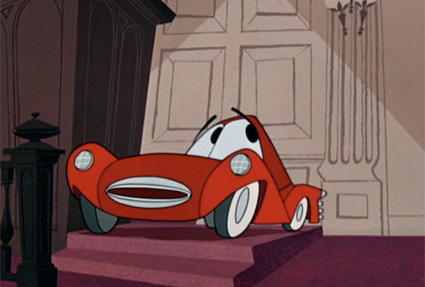 I think he might be the ancestor of Lightning McQueen from Cars. These two short films were totally different, unique, nicely done, and really good classic Disney short films as I remembered. I’m so appreciated that my parents had me watched these Disney classic films when I was a little girl. I learned a lot of things from these films. Most of things I learned was how scared the human being was…but I loved to watch them over and over no matter some scenes scared that hell out of me. I’m so happy to have this opportunity to watch them over again and share with you guys. Who ever posted these on youtube, don’t erase them, pleeeease!!!! You’re awesome!!! and the second one is “The Story Of Anyburg, USA“. I got it! Got me an iPhone 4 in white last Tuesday, yeeeeeah! I’m so happy with this phone, so cute and faster than before as compare to my old iPhone 3G phone. I don’t have my mother any more, so it’s not really important day as it used to be, but, I’d like to say, Happy Mother’s day to all mothers in the world! Since my Mom passed away, every time Mother’s day come, I just remember when my mom was around, remember the moment that I used to be freaked out about Mother’s day because she’s never satisfied with what I gave her…in fact she was though. Anyhow, those moments were unforgettable.